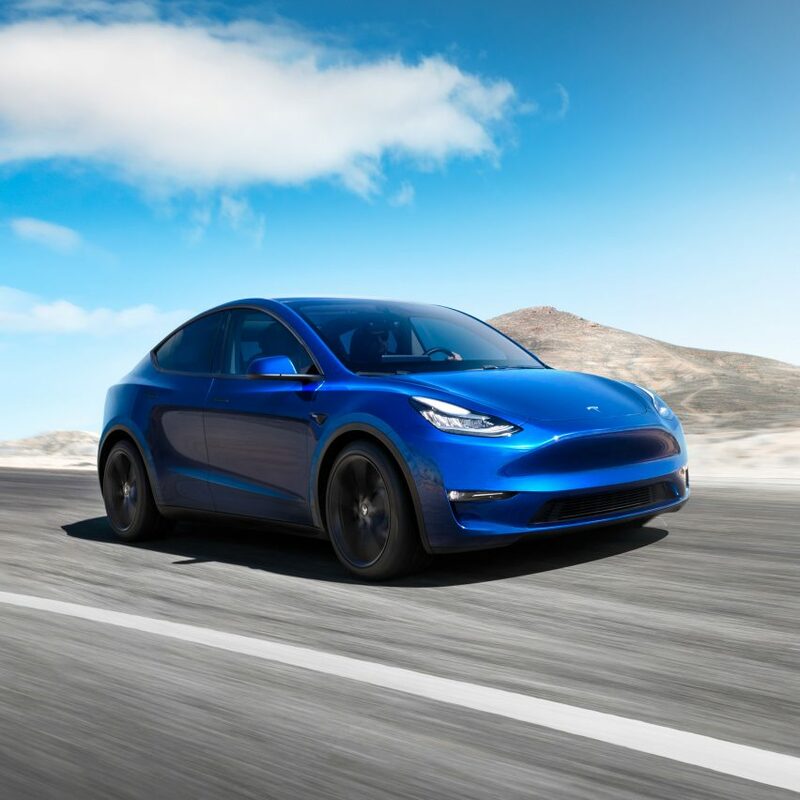 Elon Musk's car brand Tesla has unveiled its latest and "safest" all-electric Model Y crossover SUV, which is expected to go on the market in Autumn 2020. The fully electric, mid-size SUV is the company's second mass-market electric vehicle, following the Model 3. It was unveiled by the billionaire entrepreneur during an event at Tesla's design studio in Hawthorne, California, last night, 14 March 2019. "It has the functionality of an SUV, but it will ride like a sports car," Musk said at the event. "This thing will be really tight on corners." More compact than the Model X SUV, and larger than the Model 3, the Model Y vehicle will be the electric carmaker's fifth model. A high-efficiency powertrain and ultra-responsive motors will enable the car to reach zero to 60 miles per hour (mph) in just 3.5 seconds, reaching a top speed of up to 150 mph. Prices for the Model Y will start at $39,000 (£29,400) for a Standard Range version, boasting a battery range of 230 miles. However customers will have to wait until Spring 2021 before they can buy the standard model. More expensive versions of the car with longer battery range will go on sale first in Autumn 2020. This includes the Long Range version for $47,000 (£35,500), which will be able to travel up to 300 miles on a single charge, the Dual-Motor All-Wheel Drive model for $51,000 (£38,500), and the Performance version for $60,000 (£45,300).